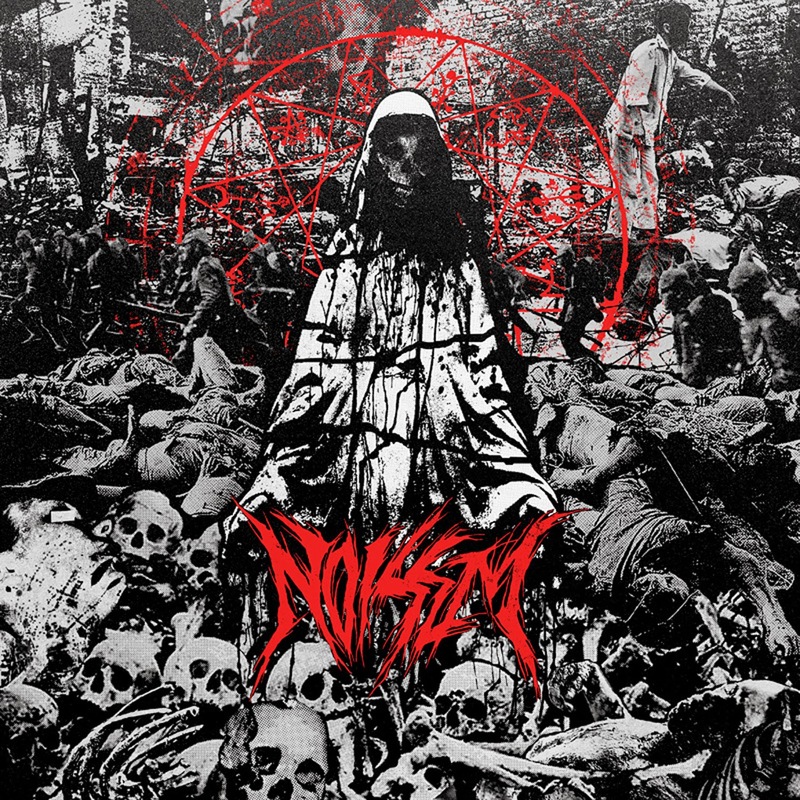 I remember reading the buzz around Noisem when they were called Necropsy. That was when I first clapped eyes on that amazing cover art. They've come along way in a short space of time. They initially released Agony Defined under the title of Endless Aggression, on limited tape and cdr through Black Mess Productions, then got snapped up for a full release by A389 Records, changed their name and now they're on tour thanks to Decibel magazine, with Gorguts, The Black Dahlia Murder and Carcass! That's not to mention the Decibel flexi that recently came out too. They play beyond their years, as has already been said by so many others, but they're bringing death/thrash to a new level and a new audience. I can't wait for them to visit the UK, as I think they'll go down a treat. You know a record is gonna be good when it starts with screaming solo, within the first ten seconds. Voices In The Morgue is the exact impact you should get, when listening to thrash. Noisem hit the nail on head, with dark old-school death metal vocals and no stupid electronic effects. Just killer buzzsaw guitar, lead work and pummelling drums. Not wanting to lose any momentum, they go straight into Birthing The Bestial. Noisem don’t mess around. Their songs are short, sharp and to the point. This isn’t chin stroking prog after all. I really don’t want to make any comparisons here, so I’m not going to. Desire And Disgust just reminds me of when I first came across bands playing the death/thrash crossover except thanks to the production, this is more palatable but also equally and evil. The song titles pull no punches and leave under no illusion as the type of altar Noisem worship at. Mortuary and Rotten Remains both come in at under three-minutes each, but don’t need any more time at all. All of the right elements are there and Noisem put them together to their advantage. If this doesn’t make you grin from ear to ear, then you’re a heartless soul. The other thing that makes Agony Defined such an engaging listen is the fact that the lyrics are audible. Tyler Carnes delivers them with a deathly rasp, but doesn’t elect to go all guttural. That’s the old-school touch again though and I use that term with the best possible intentions. Severed reminds me of the first time I ever saw Evile play. It’s got the same jaw-dropping ability that makes you take a step back. Compared to Severed, Split From The Inside Out is long! It’s okay though, because it slays with copies amounts of double bass and even the more atmospheric mid- section screams brutality as it leads you into another brilliant solo. I’ve run out of things to say about this and I’d just be repeating myself anyway. I’ll just sit back and headbang to Chronic Dementia and Agony Defined instead. Both of these tracks end everything of flailing, thrashing fashion. This album is so infectious. If you’ve been living under a very dark rock and haven’t heard it year, I implore you to do so or you’ll be banished into chartdom for all eternity!